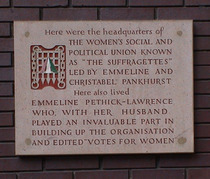 Here were the headquarters of The Women's Social and Political Union known as "The Suffragettes", led by Emmeline and Christabel Pankhurst. 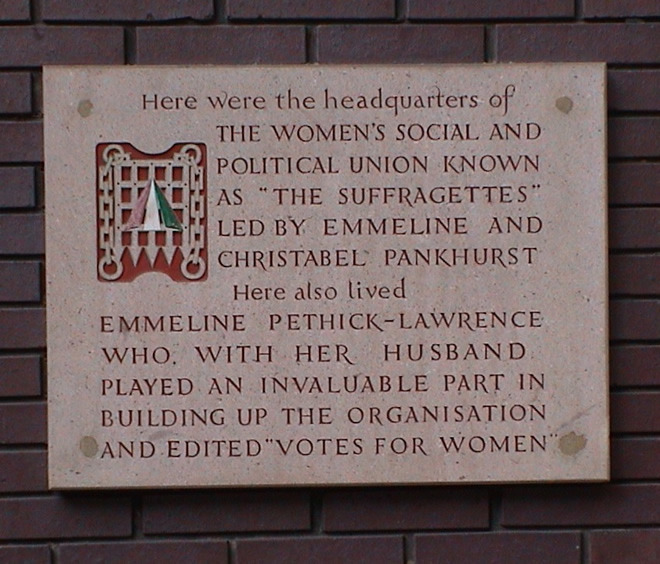 Here also lived Emmeline Pethick-Lawrence who, with her husband, played an invaluable part in building up the organisation and edited "Votes for Women". January 2013: we noticed that the plaque had been moved so we took another location photo. It used to be a little further north, in Clement's Inn passage. February 2019: The building (already modern and ugly) has been demolished and replaced with an even uglier one. This plaque has been reinstalled and joined by another one. We revisited, took new photos and will publish soon, but we've left this up so you can see how it used to look. Unveiled as part of the 50th anniversary of Jamaican independence.